This gift set includes a 16oz. 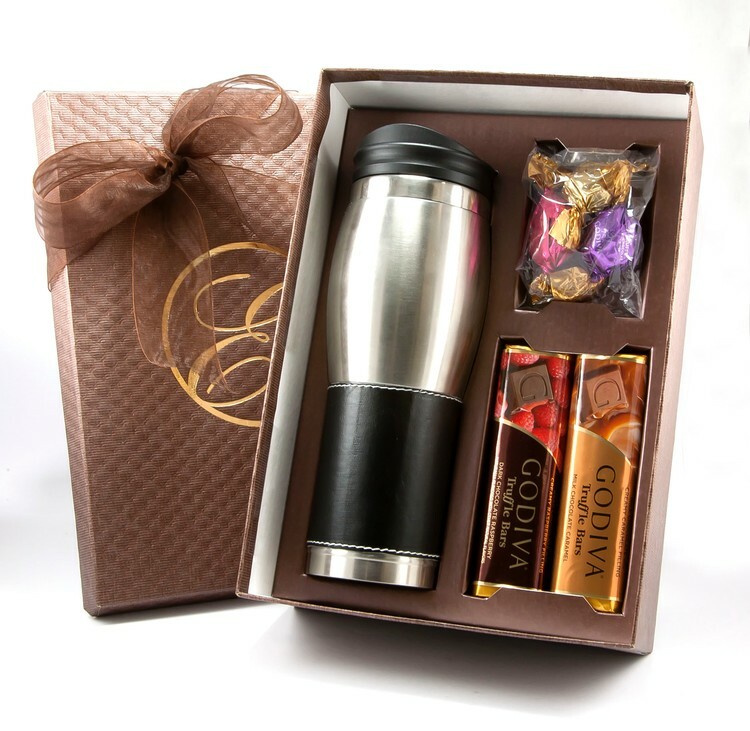 Insulated Stainless Steel tumbler with a Black Leatherette sleeve, two Godiva Bars and 3 Godiva Gems all packaged in a high end gift box with a sheer ribbon. Includes a one color imprint on the box lid.